Simplifying retirement plan decisions - The Rough Notes Company Inc. Providers of defined contribution (DC) retirement plans have fought a long-running battle urging employees to contribute more to their retirement accounts. Jerry Patterson, senior vice president of retirement and income solutions at Principal Financial Group, recalls that about 10 years ago the industry had “hit the wall” in its attempts to boost employee contributions. “Research suggested that employees should be contributing upwards of 10% of their income to their retirement accounts, but for those who were contributing, the average was closer to 5% to 7%. And too many employees weren’t participating at all. It seemed that no matter what we threw at participants—no matter how many meetings we held, how many technical books and workbooks we created—we just weren’t moving the needle,” he says. Then, around 2010, retirement product providers, including Principal, began paying closer attention to the concept of behavioral economics, which academic thinkers were using to explain people’s reluctance to save for their future needs. “Doing our own research and studying research that others had done, we concluded that our industry has poured lots of money into delivering education content—in booklets, websites or meetings—and way too little on behavior,” observes Patterson. Principal also concluded that traditional industry research into what plan participants needed was ineffective. “When we did research, we would ask people in surveys, focus groups, in their homes, ‘What do you need?’ and they would say, ‘I need advice, I need tools, I need somebody to talk to, I need a calculator.’ So we would run off and build all those things. Acting on these conclusions, in late 2015, Principal Financial Group introduced a new interactive web-based account management system, called My Virtual Coach, for its DC plan participants to use in making their retirement plan decisions. “The idea was to create an online tool that would simplify and personalize the employee’s experience of making retirement plan choices,” says Patterson. After introducing My Virtual Coach to large numbers of 401(k) and 403(b) plan participants, Principal carefully studied employee contribution behavior. The company compared the income deferral rates of about 24,000 plan participants who were using the new tool to the deferral rates of the same number who were not. “We were blown away by the results,” says Patterson. A year after the introduction of My Virtual Coach, those using the tool were deferring an average of nearly three percentage points more of their salary than those enrolling in and maintaining their accounts without it; 31% of the My Virtual Coach users deferred 10% or more of their pay, compared to 7% of those not using it. Nearly 31% of the My Virtual Coach users established automatic annual contribution increases, compared to only 5% of those using traditional enrollment. More recently, the number of My Virtual Coach users contributing at least 10% of salary has grown to 47%, and their average savings rate is three to four percentage points above those using traditional methods of account management. 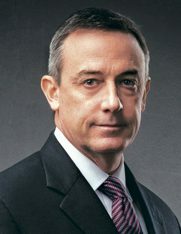 Patterson describes My Virtual Coach as “a decision system that includes an easy-to-understand financial wellness score—one that’s based on income replacement in retirement, giving employees something to shoot for.” It prompts plan participants with simple questions about their financial situation and goals, enabling Principal to provide individualized financial education within what’s allowed under fiduciary regulations. Plan participants enter personal financial data into a Retirement Wellness Planner, including—if they choose—spousal information and their other assets outside the plan. When they log in, the online audio and video in My Virtual Coach shows their progress toward their retirement goals. Employees can enroll in their company’s plan, update their income and asset information, make changes to personal information and ask questions. Those questions can be answered either online or on the phone with a Principal representative. Setting the right tone with My Virtual Coach has been important, Patterson emphasizes. “We’ve learned that one of the biggest reasons why people don’t seek retirement advice from professionals is that they are ashamed. Often they’re ashamed because they haven’t saved enough or they have high amounts of credit card debt. People who use My Virtual Coach say that it feels human, but that it feels safe because they know in some respects it’s not human. “We can monitor the process of how employees are using My Virtual Coach,” Patterson continues. “If we see that they are stopping or getting hung up at a certain place, we can go back in and re-engineer the process to make it more straightforward. To no one’s surprise,” he adds, “we found that when people stopped interacting with My Virtual Coach during the enrollment process, 70% of the time it was when they reached the ‘Now what will I invest in?’ decision. The research that led Principal toward the creation of My Virtual Coach produced other dividends in understanding the retirement market. For one thing, it showed that the financial picture of those who are heading into retirement often doesn’t match traditional stereotypes. “It’s no longer necessarily someone who is debt free, mortgage paid off, on fixed income and living within his or her means,” Patterson says. “More and more ‘retirees’ have substantial mortgage debt and other debt. They’re going to live longer, and healthcare costs probably will continue to rise. Many will probably go back to work. An emphasis on income in retirement is a natural for Principal because the company is a market leader in the retail income annuity business. It recently brought this annuity expertise into its DC retirement plan portfolio by introducing an in-plan deferred income annuity called Principal Pension Builder. The product enables DC plan participants to direct a portion of their contributions toward an annuity that will provide a guaranteed income stream in retirement. Or they can choose to take a percentage of assets already accumulated in their accounts while they are still working and direct them toward the deferred annuity. Whatever new methods are developed to communicate with plan participants, such as My Virtual Coach, and whatever new products, such as in-plan annuities, come into the market, Patterson believes that the way a plan is set up initially is critical.